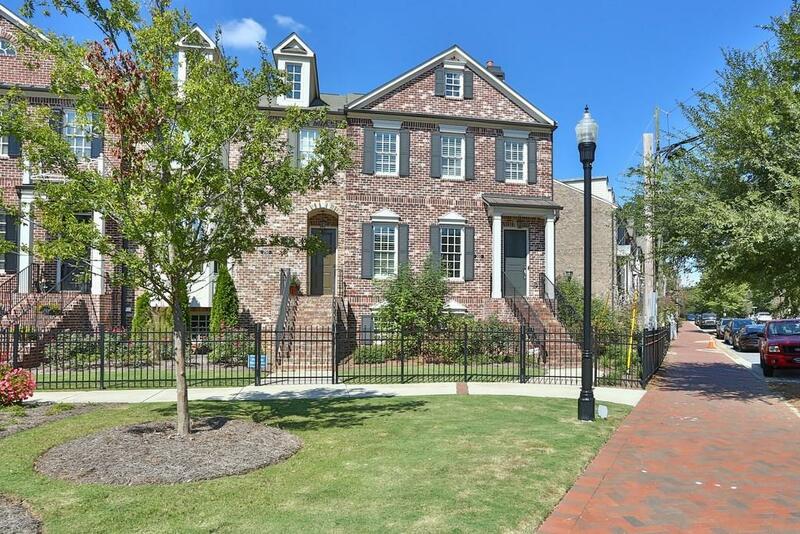 THE BEST LOCATION IN DOWNTOWN ALPHARETTA! RIGHT ON CANTON STREET ACROSS FROM THE NEST CAFE, WALK TO EVERYTHING! More than 20 restaurants and dozens of Shops to come in Downtown Alpharetta, Avalon and the AlphaLoop. You will love this superbly upgraded and pristine 4 Bedroom 3.5 Bath with all the bells and whistles. Included Beautiful dark wide plank hardwoods. Open Plan, Gourmet Kitchen and Huge island with SS Appliances, Custom Wine Bar and Fridge, All Tile Baths with Granite Tops, Beautiful Built-ins, Washer and Dryer, Outdoor Deck, Green Space in Front.